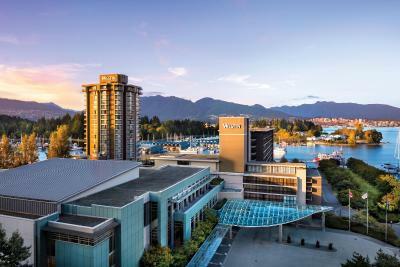 Lock in a great price for The Westin Bayshore Vancouver – rated 8.5 by recent guests! The heavenly bed and the views outside. The convenience to Robson Street and Stanley Park was a plus. We were so pleased with our exquisite view...and appreciated the complimentary drink upon check in! Service was fabulous! We were celebrating our 49th anniversary and had such a wonderful experience that we have already booked in February in celebration of my 70th birthday...looking forward to another beautiful experience! Thank you! The bed was great. Unfortunately the fires really gave us a hard time. Not your fault. But when it comes to tourism and how businesses are doing, weather becomes a factor. So you know. Kim at the pool deck was amazing. She is a great server and basically saved what was a horrible experience. Nice location on water. Outdoor pool- didn’t get to enjoy. 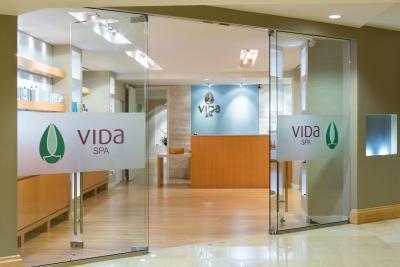 Attentive staff, clean facilities, everything you needed right at hand. Outside pool was wonderful and the breakfast buffet is not to be missed. Is it possible I just had the best poached egg of my life? Yes! Beautiful location however cost of room too expensive for the size and amenities available. We went to the concierge desk for restaurant and tour advice. Ian was outstanding!!!!! He got us reservations at two excellent restaurants and a tour with Van Top Tours. He really went above and beyond!! The young lady at the desk was not as helpful. She made an unkind remark about Easterners when we asked for help changing the time of our reservation. Maybe she was just having a bad day, but she doesn't belong in customer service. All in all, it was a great place to stay!! 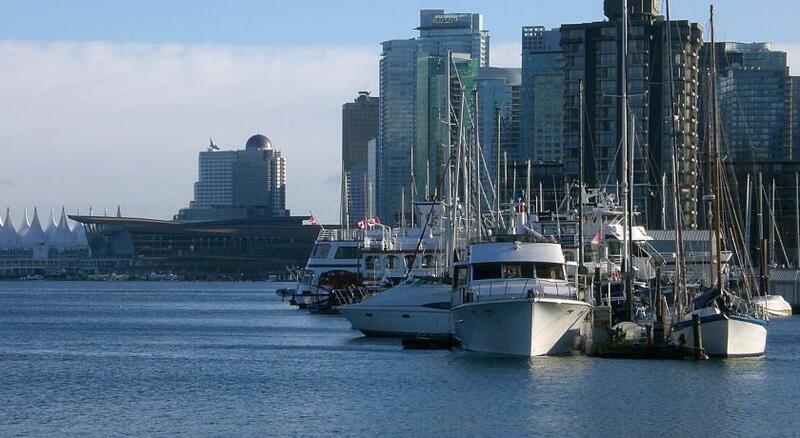 Terrific location along Coal Harbour & walking distance to Stanley Park. Wonderful views! The rooms are so nice and great beds...so comfy. A treat! Lovely ambiance in hotel. Great staff too - helpful and friendly from valet to front desk to maids and restaurant. Location, location, location. Beautiful property! Helpful and knowledgeable staff. Loved the view! The Westin Bayshore Vancouver This rating is a reflection of how the property compares to the industry standard when it comes to price, facilities and services available. It's based on a self-evaluation by the property. Use this rating to help choose your stay! Featuring an on-site restaurant and bar, this hotel features views of the Burrard Inlet, local mountains. A 32" flat-screen TV is provided in each room. Stanley Park is only 10 minutes' walk away. 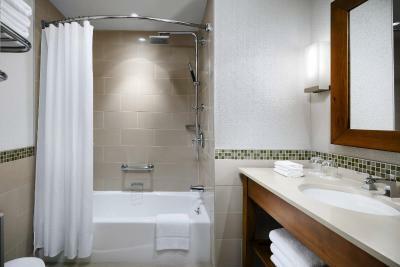 All rooms at The Westin Bayshore Vancouver offer coffeemakers and the signature Westin Heavenly Bed. A work desk and seating area are provided. On-site dining is available at Currents at Bayshore Restaurant and Lounge. The Seawall Bar and Grill is also on-site and features a variety of food choices along with cocktails and beverages. Guests can enjoy a walking path around the property. Room service is available 24 hours a day. Canada Place is 17 minutes' walk away. Granville Island is only 3.1 mi from the property. When would you like to stay at The Westin Bayshore Vancouver? Public parking is available on site (reservation is not needed) and costs CAD 40 per day. House Rules The Westin Bayshore Vancouver takes special requests – add in the next step! The Westin Bayshore Vancouver accepts these cards and reserves the right to temporarily hold an amount prior to arrival. A little pricey, a little dated, but very clean, comfortable and great location. The staff was amazing and the accommodation was great with an amazing view. The location was ideal and loved walking the sea wall. Friday night we were woken up & kept awake by other people in the hotel. Chairs in the rooms are dirty. Free bike rentals, and amazing staff! Being a Mariott member does not have any perks with it aside from collecting points, still have to pay for internet (seriously?) and all other amenities which add up quick. Nice views and clean area, reviews do not lie how great the area is. Expensive. Would not stay here again. While staff was amazing, ownership have not turned/replaced the beds. Ever slept in a bed that had too many fat people sleep in them or they were old and lumpy? $25 for a movie rental plus tax? Breakfast was expensive. This is a dog friendly hotel and the dogs bark a fair amount. Also, hotel needs to upgrade and walls were paper thin. Cleaning staff were great. The hallway of our floor (13th) was in need of a paint job and the carpet seriously needed to be cleaned. I have stayed here in the past and don’t recall it looking shabby.